Can be found in the Savage Thicket, alongside Primordial Drakes. This pet is great. It can solo most outdoor encounters and help in trainer battles. Must have for all trainers. Just got this to drop as a rare level 20 yesterday. Using Emerald Bite, Emerald Presence and Emerald Dream, Im not sure how this pet could lose very often. Go grab your three and enjoy! PS: Minfernal is still impossible. My first couple circles through the area I came up with nothing. Around 12:30 server time today I flew through and they were everywhere. I found a Rare P/S on about the fourth one and also got a common one. I read the comments about what a great battle pet it is so I am excited to level this one. UPDATE: Found a second rare (p) around the same time. This is an excellent pet for one of your backline pets in the 15 daily Tanaan Jungle pet battles. I have found that the P/P breed is best for these fights for two main reasons. One is because Emerald Presence blocks more damage (90 per hit) and two is because Emerald Dream gains more health (1236) than the other breeds. Both "reduced damage" and "health gained" are a function of power ... not health or speed. I went into this knowing full well, this might be an Epic Camping Experience. What I did was instead of camping it, I did flyby's a few times while in the area. Do NOT use terrible turnip's Sunlight ability when trying to catch this guy. With its heals and its own health pool boost from Ancient Blessing, this thing turns into a terrifying unkillable GOD in Sunlight. On the plus side, once you HAVE caught him, the turnip and the proto have fantastic synergy as a pet catching/levelling team. The turnip catches whatever you're hunting, then the proto eats all its friends while they barely dent its vast sunlight and blessing enhanced health. wished i had of read these comments first. 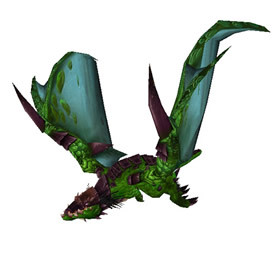 went to sholazar basin, saw an emerald proto-whelp right away, entered into battle with it. it was a P/P. i didn't have my safari hat on and there is a pet battle event running right now and I realized i didn't have my hat on after i had trapped the EPW and I abandoned the battle. He did not respawn :( I didn't realize how rare he was to find or i would have finished the battle. Still appears to be quite a long wait to get the breed that you want (let alone a rare). In 10+ days of checking (spending 30 minutes or more in the spawning zone), I managed to find about 12. Lucky enough, 1 blue P/P, 1 blue P/B and a white P/P (stone it later). Killing off the other nearby pets didn't seem to have any effect on the spawns. It's a ridiculous battler that everyone should own. Just takes some effort. Ridiculous combo of power/toughness, all but unkillable. I was having the same problem others were - no hide nor hair of proto whelp to be seen. This was on Rexxar - spent HOURS camped out. Read a comment about Earthen Ring and since I'm an alt-o-holic and just happened to have some high-level alts on said realm, I logged over real quick. Whelps everywhere! Was able to get 1 of each breed and had a "make rare" battle stone ready for the P/P one. Quick trip to the Magical Menagerie and 18 Pet Charms later I had a lvl 25, rare, p/p whelp. Am I doing something wrong? I've come here for no less than 2 hours a day every day for over a week. I have yet to see a single one. I've flown in a circle, I've sat and camped, I've killed dragon mobs, I've killed other bpets, I've killed critters. Nothing works. I am on Stormrage and have never even seen so much as a whisper of this thing. It doesn't seem to matter when I log in because I have yet to see one! Even after a server reset I didn't see one. Dalaran server must be cursed... Or I am. UPDATE! I FINALLY got one on 8/30/16, which was the day Legion dropped. Probably only got it because everyone was in the new content. 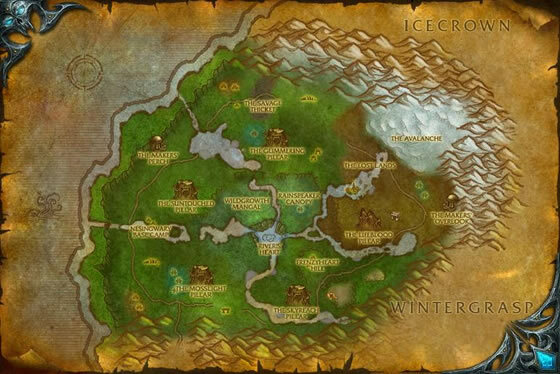 I'm not sure if Blizzard changed something but I popped on Earthen Ring and their usual spawning area was full of them of every breed, I didn't even have to go looking. THE clean-up pet. There are a number of Legendary battles where you'll face a legendary pet with a pair of less-than-legendary companions. If that's the scenario, seriously consider bringing this guy along. With Emerald Dream/Ancient Blessing you can easily heal to more than full and less powerful competition often stands no chance against the Proto-Whelp. This has become my go-to clean up pet in PvE and grand masters. I've had this P/P breed stand its ground against two pets and just wink at them. Definitely a under-recognized powerhouse survivor. Hey, I've been trying to catch a P/P Emerald Proto-Whelp of any quality for the last couple of days to no avail. I haven't faced a single P/P yet - is it possible that there is some kind of bug or am I just being EXTREMELY unlucky? When I just started battle pets, I didn't look at the breeds. I read some comments where people say it's a difficult pet to find. I had no problems looking the first time for this pet. third time I was there to find the p/p breed, it was 11 PM on delfias brotherood (EU) realm, when there were plenty of them. These beautiful drakes can be found across the shores of Northrend.